A variegated form of our native Sea Campion which grows wild on cliff ledges and mountainous rocks throughout this country. 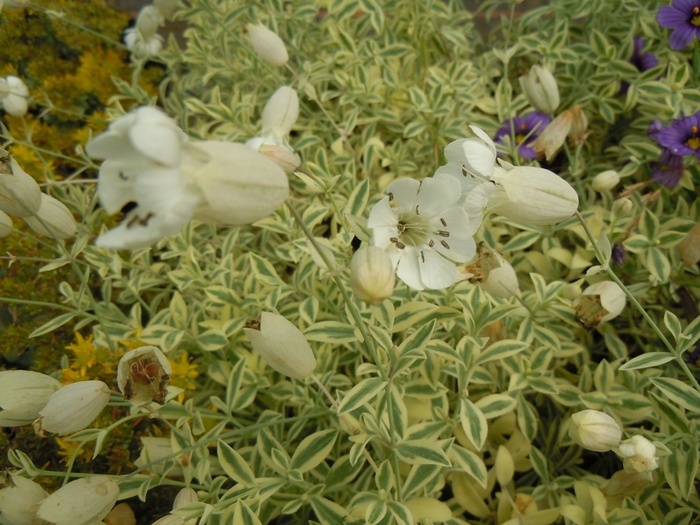 Forms flat mats of glaucous green and cream leaves, ht 5cm with large white flowers in Summer borne on long trailing stems. 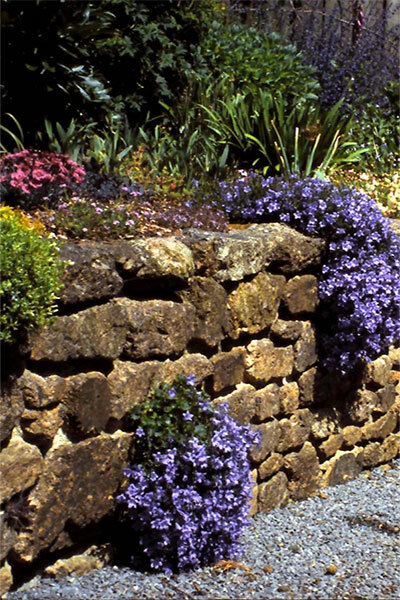 Needs a well-drained sunny position in a rockery, front of the border, on walls or even in pots and containers.